This week, Justin Bieber turned the ripe old age of 25. This is interesting (depending on your outlook) for two reasons – the first is Biebs continues to surprise people (me) with how young he is, despite seemingly being famous for as long as I can remember. And secondly, because his 25th birthday has curled out a new word for us all to enjoy – Centch. The phrase ‘Happy Quarter Centch Daddy!’ was coined by the Biebs’ hairstylist Florido, who posted a picture of himself and JB to Instagram in order to wish the 25-year-old a happy birthday. I love it when people post pictures of themselves to wish someone else a happy birthday. I also love it when people invent new words. ‘Centch’, presumably short for ‘century’, is the abbreviation I never knew I needed in my life. I can’t belieb how much time I’m going to save in the future (futch?) saying centch instead of century. Thank you, Florido. I also presume that’s why Florido gave himself just the one name, like Madonna. See you later surname! Gotta save those syllables. It’s not clear if Hailey is being sarcastic (sarcatch?) or not, as it’s often hard to imply sarcasm in writing. 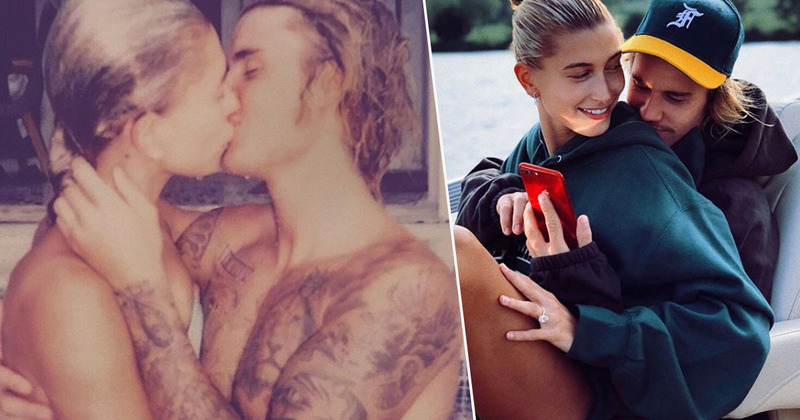 It seems like things are moving pretty quickly for Hailey and Just-I’m a Belieber, who – before their marriage late last year – was celibate for over a year, with the couple deciding to honour his celibacy and save themselves for marriage. However, the pair have also admitted the celibacy was one of the reasons they married so quickly.